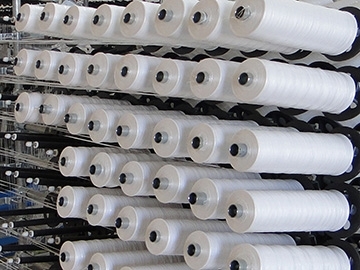 Products-SAN CHYI MACHINERY INDUSTRIAL CO., LTD.
Monofilament extrusion lines used PP / HDPE / PA / PET raw materials to produce monofilaments for various purposes, such as shade net, agricultural net, building net, fishing net, safety net, fishing line, trimmer line,bristle, brush, rope and danline. MFP series are suitable for PP(Polypropylene) / HDPE(High Density Polyethylene) raw materials, and MFN series are suitable for PA(Nylon) / PET(Polyester) raw materials. The plastic raw materials are fed into the extruder from the hopper and pass through three section(feed / compression / metering)single-screw driven by the motor and gear reducer. The barrel is heated outside by the band heaters. The raw material transformed into the plastic melt to the screen changer or gear pump and then extruded from the monofilament die. Monofilament’s size and number depends on the size and number of spinning holes on the die plate. 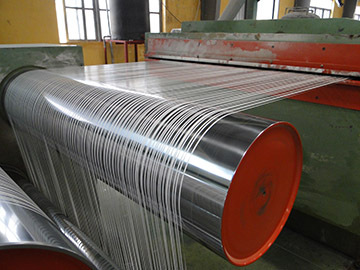 The monofilament is cooled by a cooling water tank(quenching bath) and then stretching and annealing by the speed difference of the drawing device. 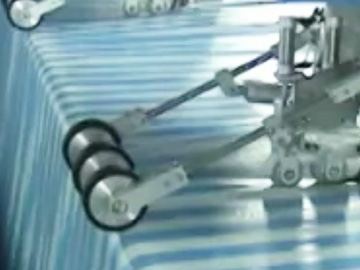 The pneumatic press rollers on the take-off device make monofilament difficult to slip on the godet rollers during the stretching step. Hot water stretching tank used hot water heated by cartridge heater to stretch the monofilament for great strength. Hot air annealing oven used hot air to anneal the monofilament for relieving the stresses. PA and PET require additional hot air stretching oven and drawing device for the second stretching processing. 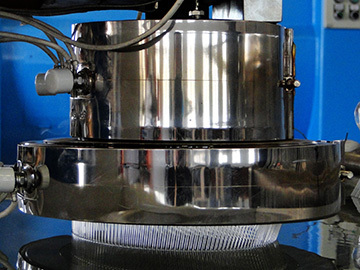 The winder consists of many forms like bi-conical, flange, spool and warp beam to meet different processing requirements. 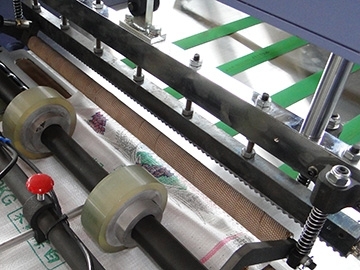 Tape extrusion lines can be produced PP/HDPE tape(flat yarn) for woven bag, FIBC jumbo bag, cement bag, PP-paper laminated bag, onion bag, shade net, tarpaulin, livestock shelter, weed control fabric and rope. FY series is the standard model using hot air stretching oven for stretching. FYE series is the economic model with hot plate stretching device. The plastic raw materials are fed into the extruder from the hopper and pass through three section(feed / compression / metering)single-screw driven by the motor and gear reducer. The barrel is heated outside by the band heaters. The raw material transformed into the plastic melt to the screen changer or gear pump and then the plastic film is extruded from the t-die. After cooling by the quench tank, film drawed from the take-up unit to slitting by the knife. Using the speed difference of the drawing device between hot air stretching oven for stretching tapes. The ratio of line speed is also called the stretching ratio. 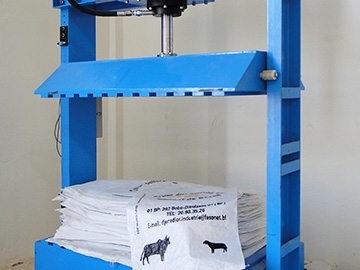 Using Fibrillation Device for fibrillated flat yarn. 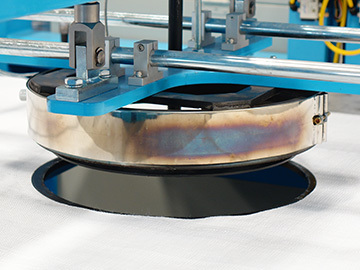 The winders wind up flat yarn for various size driven by the magnetic disk or torque motor. 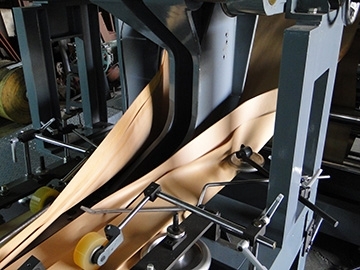 Circular looms weave single flat or double flat woven fabric by PP/HDPE tape(flat yarn) for woven bag, FIBC jumbo bag, cement bag, tarpaulin, waterproof fabric and weed control fabric. CL series circular loom used swing lever to drive heddle bar indirectly by cam. CLB series circular loom is the direct driving without swing lever for better efficiency. Warp placed on the creel stand pass through the holes on the heddles to do shedding motion for shuttles passing. 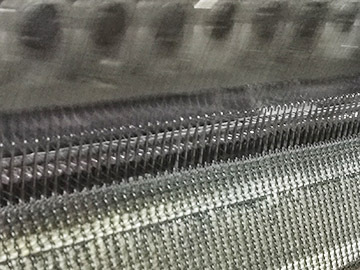 Weft are the yarn on the shuttles. Winding unit in circular loom includes double flat(tubular) winding, double-width winding and back to back winding for different purpose. Number of Shuttles on circular loom is from 4 to 8 shuttles. 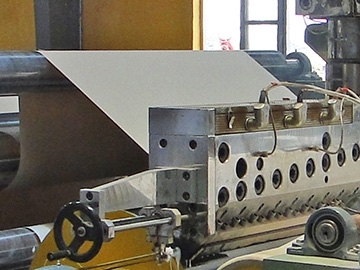 Circular loom double flat working width is from 35 to 200 cm. SAN CHYI MACHINERY INDUSTRIAL CO., LTD.© Copyright All Rights Reserved.